It’s no secret that we here at Velocity Factor love Carbon Fiber as much as any enthusiast. We proudly offer our own distinct line of Carbon Fiber bodykits and accessories for numerous applications. 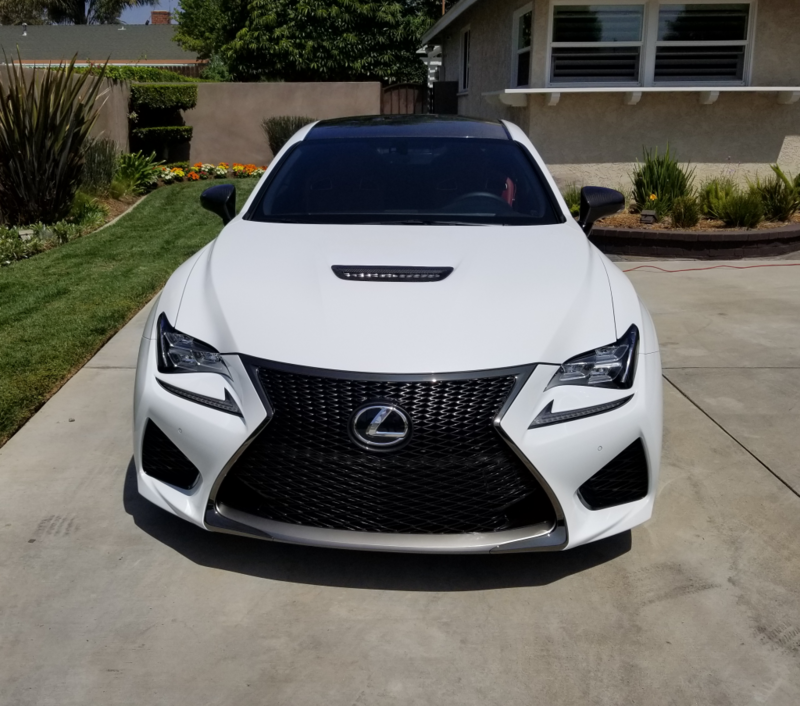 One of the most popular lines is our Lexus RC-F bodykit which consists of a Carbon Fiber Front Splitter, Carbon Fiber Side Skirts, Carbon Fiber Rear Bumper Spats, and optional Carbon Fiber Side View Mirrors and Carbon Fiber Hood Scoop. A customer from afar reached out to us after seeing our kit online to order one for their car. They were duly impressed by the beauty and design, not to mention the pricing which is quite competitive. We were more than happy to oblige! At first, this particular customer ordered our Carbon Fiber Side View Mirrors and Carbon Fiber Hood Scoop. Knowing these parts are made to order, the customer did request that we get them done for a big car show he was attending in the near future. 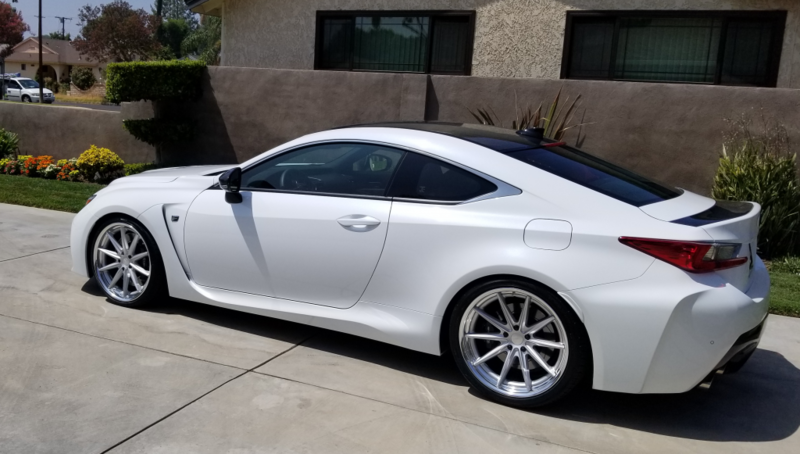 Velocity Factor delivered as promised and got him his pieces in time to be installed and shown on his beautiful Lexus RC-F. We’re sure you’ll agree that those small touches alone took a really nice looking car and made it that much better, adding an element of aggressive yet tasteful styling. Shortly thereafter, the customer ordered the complete ground-effects Carbon Fiber Kit with our own proprietary Front Splitter, Side Skirts, and Rear Bumper Spats. We can’t wait to get the pictures of those parts installed which we’ll add to this blog when we do! All of our Carbon Fiber kits come with the hardware needed for a perfect fitment so whether you’re having us install it here at Velocity Factor or in another state far away you can be rest assured that the quality and looks will be spot-on! The customer had purchased a beautiful set of Vossen ‘Work’ Wheels that really set the car off perfectly in conjunction with our Full Carbon Fiber Kit making this RC-F a show-stopper that garners attention and awe everywhere it goes. Interested in Carbon Fiber and other accessories for your car? Velocity Factor has you covered! From wheels to aero, performance products, brake systems, suspension upgrades, and yes; regular maintenance too, the Velocity Factor team is ready to work with you! Please stop by our showroom located at 980 North Dixie Highway in Boca Raton, Florida, call us at (561)-395-5700, or email us at: sales@velocityfactor.net to get the right advise from our experienced staff who are ready to get you the best products, pricing, and service for all your automotive needs.